Corral del Conde apartments for rent in the center of Seville. Corral del Conde (The Earl’s Yard) is an unique building from the 16th Century, located in the center of Seville, Spain, and classified as Historical Cultural Heritage. 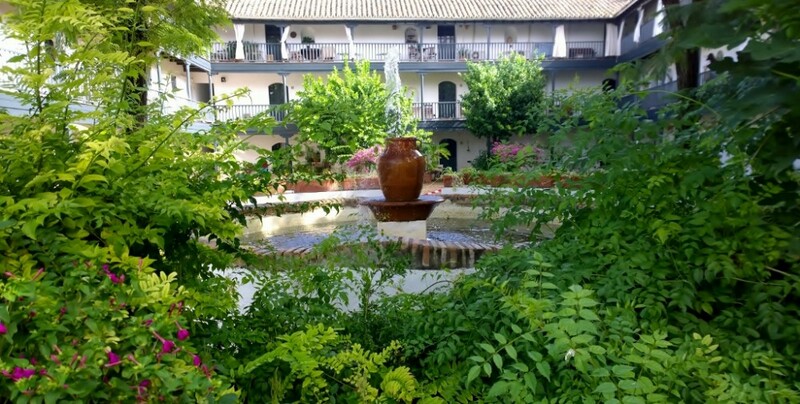 It is a typical Andalusian Courtyard that retains all the charm of its time. All the traditional elements of a Medieval Courtyard are preserved: the central paved patio, the fountain, the wash house, the wooden galleries, the oven bread, the chapel… In this peaceful and quiet place, vegetation takes a very prominent role. Plants and flowers take over the environment and favor an unparalelled ambience of rest and relaxation: An oasis in the heart of Seville. Many of the residents -artists, students or tourists- rent these apartments for their special atmosphere. Corral del Conde apartments enjoy a privileged location because of its proximity to both the historical center: Giralda, Cathedral, Santa Cruz Quarter, Jewish and Alcázares; and the commercial area, places you can visit on foot. Welcome to Corral del Conde.